The Moon over Chile on the night of August 19, 2007. 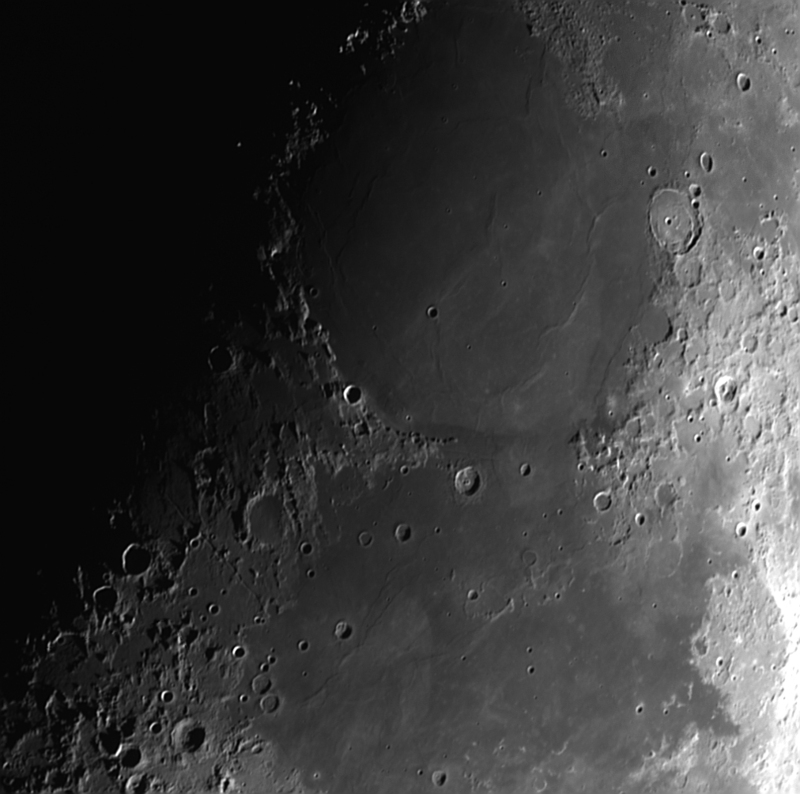 The sharply defined crater in the middle of the image is Euclides which is a newer crater than the much larger Gassendi in the upper right hand part of this image. The landing site for the Apollo 11 Lunar Module Eagle was dubbed Tranquility Base by Astronaut Neil Armstrong and lies near the bottom of this image in the Southwestern corner of the Sea of Tranquility (near the double craters Ritter and Sabine).